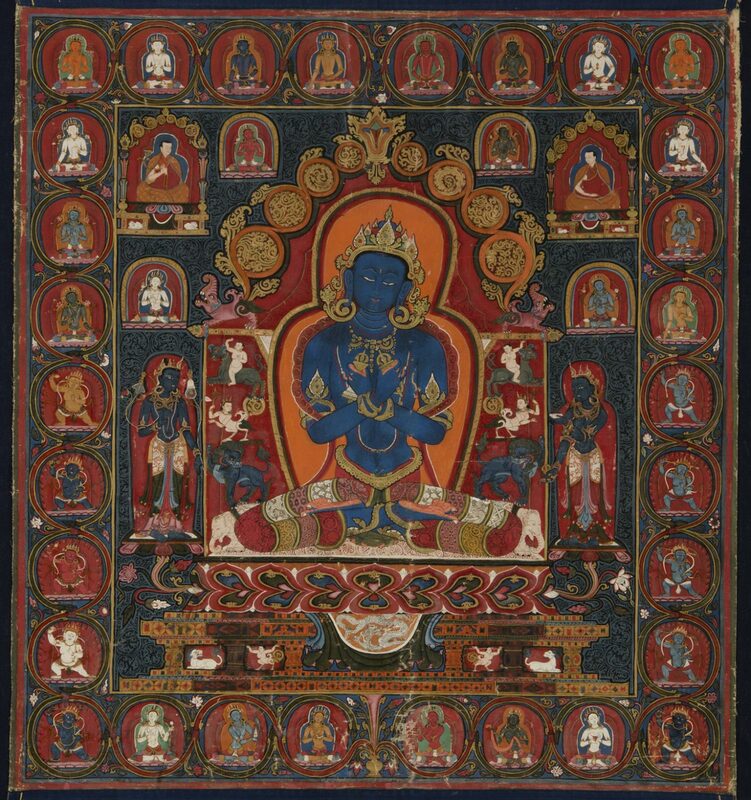 This vivid painting was once the center of a set of eleven related works commissioned by Ngorchen Kunga Zangpo, the first abbot of Ngor Monastery. On an elaborate throne, the primordial Buddha Vajradhara meditates. The intense blue of his body signifies the pure nature of ultimate reality. In his crossed hands he holds the two most common ritual implements of Tibetan Buddhism: a bell and a vajra (a multipronged scepter whose name translates as either “diamond” or “thunderbolt”). These implements represent wisdom and skillful means, respectively; the path to enlightenment is made by their merging. Important leaders of the Sakya lineage inhabit the painting’s inner rectangle, while other buddhas and deities fill its borders.